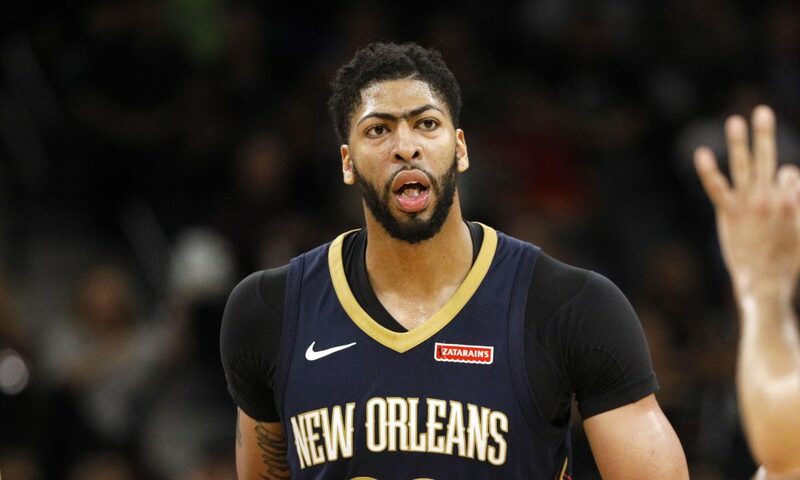 The trade deadline has officially come and gone, and Anthony Davis remains a Pelican. Dell Demps and the rest of the New Orleans front office held strong, and rebuffed the various Laker offerings to keep their golden goose in the Big Easy for at least a few more months. Nevertheless, let's take a look at some of the more impactful moves of the day! The Philadelphia 76ers jumpstarted the deadline in the early morning hours yesterday, trading for Clipper swingman Tobias Harris in exchange for multiple first round picks as well as promising rookie Landry Shamet. It's a bold all-in move that gives Philly a deadly starting five, but carries significant risk. Harris, like Jimmy Butler before him, can be an unrestricted free agent this summer and he will have no shortage of suitors. With a max extension also due to Ben Simmons way, they would potentially be locking themselves into this team for years to come, or losing them for nothing. New GM Elton Brand certainly isn't bashful. The Sixers were by far the most active playoff team overall, which shouldn't be surprising given the overall thin nature of their roster. They also acquired James Ennis from the Houston Rockets and Jonathan Simmons from the Orlando Magic, in exchange for former number one overall pick Markelle Fultz. This officially closes the book on the disastrous Fultz era in Philly, after he amazingly plays just 33 games total for the franchise. He gets a chance to quietly develop in Orlando, away from the microscope and without the pressures of a team trying to win right now. Not to be outdone, several of the teams currently above Philly in the East made some key additions of their own. The number one seed Milwaukee Bucks acquired floor-spacing big man Nikola Mirotic from New Orleans, while the Toronto Raptors snagged Marc Gasol from a Grizzlies team officially looking to tank. It's the end of an era in Memphis, who do at least hang on to fellow franchise icon Mike Conley. Gasol is talented but the fit is unclear in Toronto, who already have Serge Ibaka at center as well as Pascal Siakam in small-ball situations. Gasol may not be the force he once was but he can certainly still provide significant playoff value. Out west there was a lot less movement, at least if you don't consider last week's blockbuster that saw Kristaps Porzingis shockingly head to Dallas. The top three teams in the conference - Oklahoma City, Denver, and of course Golden State all feel pretty good about the current status of their roster. Portland, sitting in fourth, felt the need to make a move and did so by adding Rodney Hood from Cleveland, a scoring wing who can give them some additional one-on-one shot creation off the bench. Currently sitting in ninth, it's Sacramento who felt the need to make a big splash for the playoff push, and that they did by acquiring Harrison Barnes from the Mavericks. Barnes slots in immediately in the starting lineup, but the Kings will still have some work to do if theyre going to outpace the Lakers and Clippers for the eighth and final playoff spot in the West.